David Rankin carries on a general commercial litigation practice which includes appellate litigation, administrative and constitutional litigation, class actions, and other general civil litigation. David has appeared as counsel before the Supreme Court of Canada on ten separate occasions. He has also appeared as counsel in the Federal Court of Appeal, the British Columbia Court of Appeal, the New Brunswick Court of Appeal, the Federal Court of Canada, and the superior courts of various provinces. David is a co-author of Sopinka and Gelowitz on the Conduct of an Appeal, 4th Edition, a leading resource for litigators and judges on appellate practice and procedure. 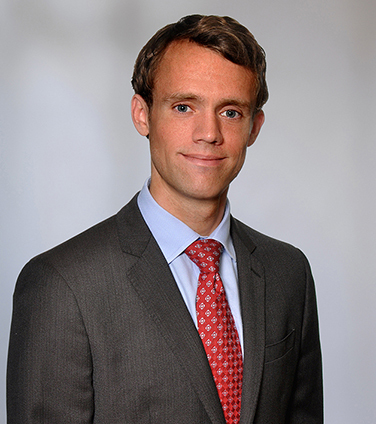 David joined Osler as a litigation associate in 2012 after serving as a law clerk to The Honourable Mr. Justice Morris J. Fish of the Supreme Court of Canada. He received his Juris Doctor from the University of Toronto, where he graduated with the W.P.M. Kennedy Silver Medal. During his time at the Faculty of Law, David was co-Editor-in-Chief of the Law Review (Vol. 68). Prior to law school, David graduated from Acadia University — at the top of his faculty — with a Bachelor of Business Administration with Honours. David first joined Osler as a summer student in 2008, returning in 2010-2011 to complete his articles in the Calgary office. Canadian Bar Association before the Supreme Court of Canada to protect solicitor-client privilege: Canada (National Revenue) v. Thompson, 2016 SCC 21; Canada (Attorney General) v. Chambre des notaires du Québec, 2016 SCC 20; Lizotte v. Aviva Insurance Company of Canada, 2016 SCC 52. J.D. Irving Ltd. before the Court of Queen’s Bench of New Brunswick and the New Brunswick Court of Appeal resisting an injunction alleging a breach of the duty to consult: Première Nation de Buctouche c. Nouveau-Brunswick, 2014 CanLII 59594 (N.B.C.A.). Amex Bank of Canada, Royal Bank, TD Bank, Bank of Montreal, Bank of Nova Scotia, CIBC, National Bank, Laurentian Bank and Citibank before the Supreme Court of Canada challenging the constitutional applicability of the Quebec Consumer Protection Act to bank-issued credit cards: Bank of Montreal v. Marcotte, 2014 SCC 55; Amex Bank of Canada v. Adams, 2014 SCC 56. Canadian Civil Liberties Association before the Supreme Court of Canada to protect civil liberties: R. v. Chehil, 2013 SCC 49 (privacy); R. v. MacKenzie, 2013 SCC 50 (privacy); and Attorney General of Canada v. Federation of Law Societies of Canada, 2015 SCC 7 (independence of the Bar and solicitor-client privilege). Shoppers Drug Mart before the Supreme Court of Canada challenging a regulation banning private label generic drugs: Katz Group Canada Inc. v. Ontario (Health and Long-Term Care), 2013 SCC 64. Bank of Montreal before the Supreme Court of British Columbia, the Court of Queen’s Bench for Saskatchewan, the Ontario Superior Court of Justice, and the Court of Queen’s Bench of Alberta defending putative class actions in relation to credit card fees: Court File No. VLC-S-S-112003, Q.B. No. 1206 of 2012, Q.B. No. 133 of 2013, Court File No. CV-11-426591, Court File No. 1203 18531, and Court File No. 1203 10620. Langford Rowell Prize for ranking first in first year (University of Toronto Faculty of Law). Davies Ward Phillips & Vineberg LLP Prize for ranking first in second year (University of Toronto Faculty of Law). Fraser Milner Casgrain Prize (University of Toronto Faculty of Law). Aird & Berlis Prize for Overall Academic Excellence in first year (University of Toronto Faculty of Law). Blake, Cassels & Graydon LLP Prize in Taxation; Justice Michael J. Moldaver Prize in Criminal Procedure; Lang Michener Prize in Commercial Law; Ori Fidani Prize in Real Estate Law; McRuer Scholarship in Administrative Law. John Sopinka, Mark A. Gelowitz & W. David Rankin, Sopinka and Gelowitz on the Conduct of an Appeal, 4th Edition (LexisNexis, 2018). Mahmud Jamal and W. David Rankin, “Constitutional Issues in Competition Litigation”, in Litigating Competition Law in Canada, Nikiforos Iatrou (ed.) (LexisNexis, 2018). W. David Rankin & Mahmud Jamal, “Dissents and Concurrences: Seven Debates in Charter Jurisprudence” (2013) 63 S.C.L.R. (2d) 89. W. David Rankin, “Concerning an Expectancy Based Remedial Theory of Promissory Estoppel” (2013) 69(2) U.T. Fac. L. Rev. 116. Mary Paterson & W. David Rankin, “Sattva Capital Corp v. Creston Moly Corp.: Are Issues of Contractual Interpretation Certifiable in Class Proceedings as Common Issues?” (2015) 30(2) Banking & Finance Law Review 363. Gillian Scott & W. David Rankin, “Federal Court Certifies Action for Publicity Given to Private Life” (2015) 12(10) Canadian Privacy Law Review 97.